London: Weidenfeld & Nicolson, 1982, Hardback in Dust Wrapper. Condition: Very Good — in Very Good Dust Wrapper. Pages lightly age-tanned. 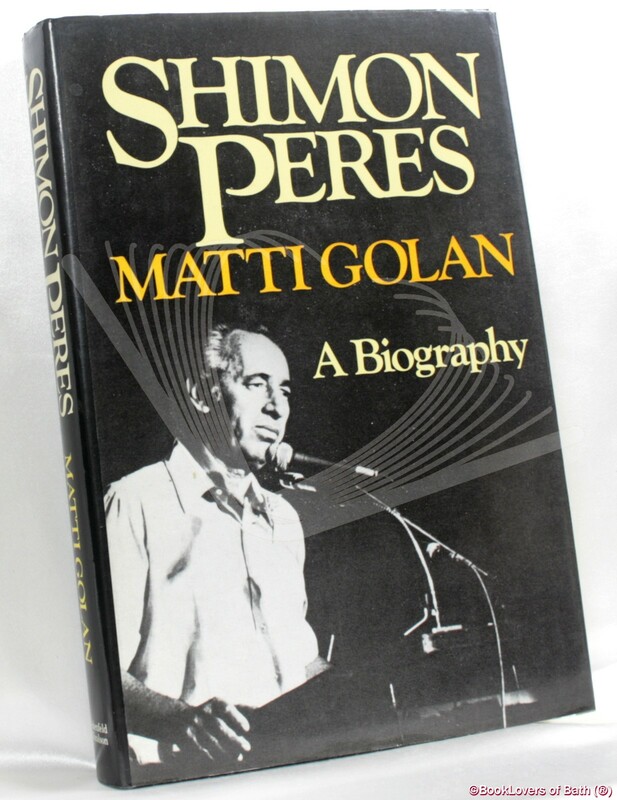 From the cover: “Written with his full co-operation and with access to all his private papers, Matti Golan tells the true story of Shimon Peres’s exciting political career over the past thirty years. It began before the creation of the State of Israel when Peres joined the Haganah at the age of sixteen and was soon adopted by Ben-Gurion as his protege. In 1946 he was put in charge of secretly acquiring arms for the future Israeli army, and by 1952 he was appointed Director-General of the Defence Ministry. Peres’s story is one of domestic and international political dramas, and this biography reveals for the first time his real involvement in the creation of Israel’s military and aircraft industry, the special relationship with France during the Algerian war and the Sinai campaign, the building of Israel’s atomic reactor and the Entebbe mission. It fully describes the stormy Israeli political scene, climaxing in the recent elections when Peres saw the longed-for premiership slip from within his grasp following the unexpected victory of Begin’s ruling Likud Party. Size: 9½" x 6¼". Black boards with Gilt titling to the Spine. [IX] 275 pages.